Today, WOMA (Australia) Pty Ltd is a specialist business focussed on the B 2 B provision of quality and dependable Pressure & Vacuum Pumping and Explosion Protection solutions across key industrial sectors; Oil, Gas & Petro-chemical, Mining, Municipal, Infrastructure & Utilities, Defence, Manufacturing, Civils & Construction, Transportation including Material Handling, Shipping and Marine. Their talented team of experts offer Engineering, Service & Support, Spares, Accessories, Rental, Training and Consultative Services. Established in 1982 by the entrepreneur Guy Jellicoe (recently recognised for his contribution to industry), it began with WOMA High Pressure Positive Displacement pump Sales and by necessity morphed in to the provision of contracting services. 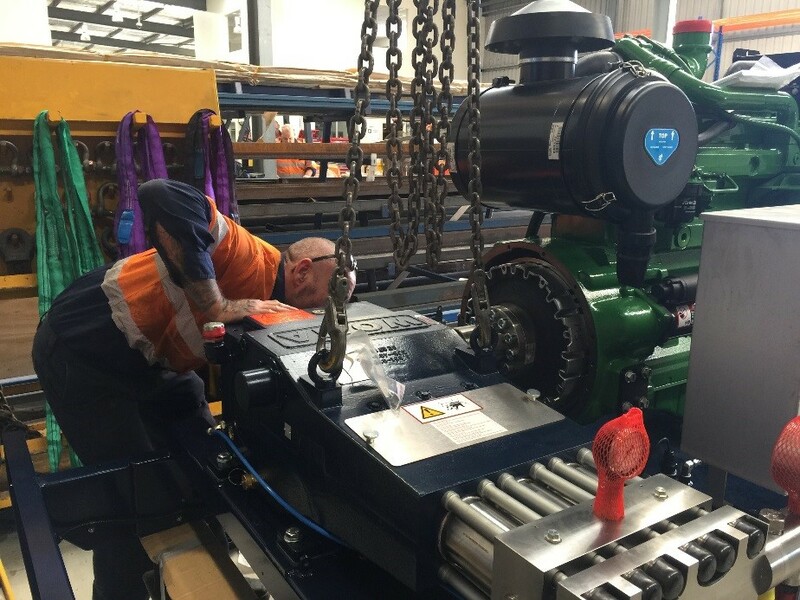 Over the subsequent two decades WOMA grew to become the southern hemispheres’ pre-eminent Industrial Services Contractor proudly supporting the largest fleet of high pressure pumps and servicing a range of ‘Blue-Chip’ clients including ALCOA, BHP, Rio Tinto, Woodside Energy, BP and Chevron to name a few. 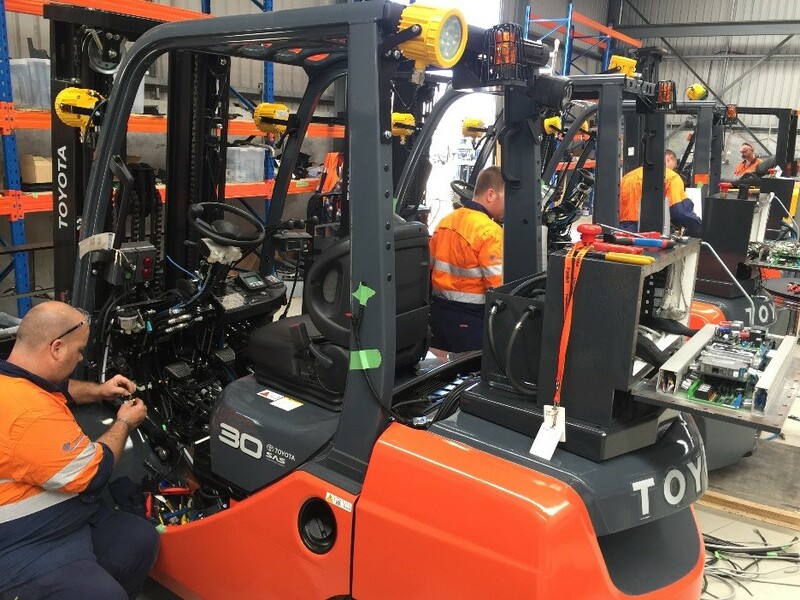 With operations in Australia, New Zealand and even Ireland and Jamaica it provided leading-edge industrial cleaning and maintenance activities and was the eminent industry fore-runner in the development of manipulator and semi-robotic tooling to remove the worker from the workface. 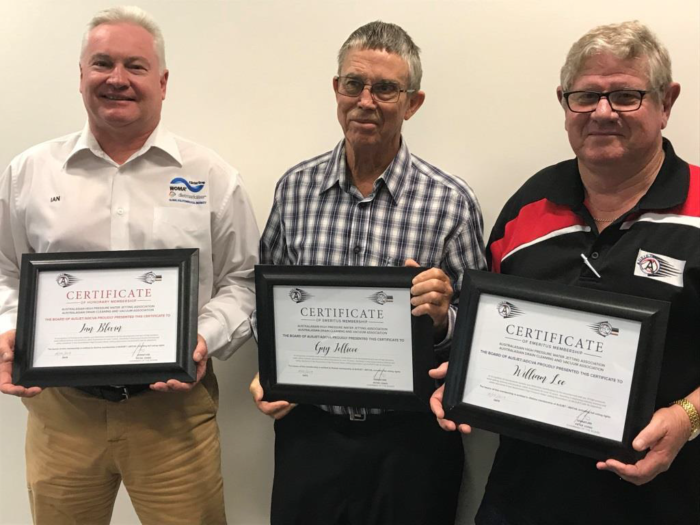 Guy Jellicoe (at centre) alongside Ian Blevin (left) and Will Lee (right) receiving Emeritus Membership of the Australasian High Pressure Water Jet Association in recognition of substantial contribution to industry. Transition occurred in 2000, when the Contracting division of WOMA was harvested off and sold to the Collex division of the Vivendi group of Companies, specifically forming the foundation of what today is Veolia. 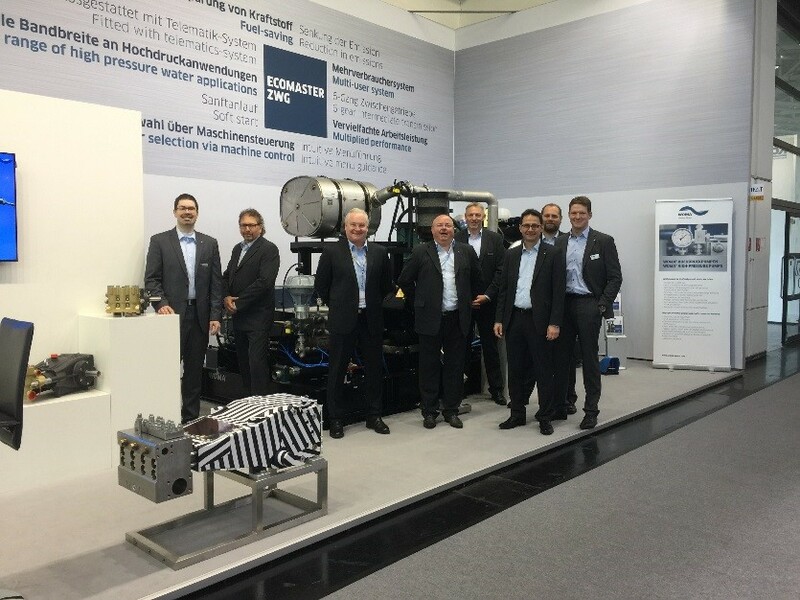 Now greatly consolidated and focussed on an engineering and manufacturing support role, WOMA was able to focus upon pump, manipulator and industrial solutions technologies in support of industry in general. Global Market Slowdown 2008; whilst income growth in Australia was strong before the global financial crisis of 2008 hit because of the surge in commodity prices and the associated mining boom, it was also clear in this period that Australia was running up against capacity constraints. Perhaps the clearest sign that the economy had run up against capacity constraints was the steady deterioration in Australia’s productivity performance and the rise in inflationary pressures. The labour market was tight, despite the strong growth in immigration, with the unemployment rate hitting a 33-year low of 3.9 per cent in February 2008 (today a 17 year record high of 6.7% prevails). The aggregate effect of rising resource prices on the Australian economy were to add to growth in incomes, living standards and expenditure. The flip side of this shift in world relative prices saw a decline in relative prices of traded manufactured goods and a concurrent increase in the cost of Australian manufacturing. This presented substantial difficulty for manufacturers and the long-run trend in manufacturing is that it has grown more slowly than the rest of the economy, and the industry’s share of GDP has been falling. Superimposed on that trend have been some more recent factors that accelerated the decline. They include the rapid growth in Asian imports and a dis-investment by ‘Government’ and the establishment in general in the domestic Manufacturing industry. Global Solutions Local Ingenuity; having just invested in and taken-up the reins of WOMA, Ian and Dianne Blevin saw this evolution as an opportunity for internal transition. They embarked on a consolidation of the company overheads together with a focus on diversification and the transition toward a higher-skilled manufacturing arena. This was illustrated by the inclusion of specialised pump systems, manipulators, semi-robotics, explosion protection solutions and the inclusion of related engineering and electronics within WOMA’s portfolio. Progressive and innovative governance has seen WOMA absorb advanced expertise from around the globe to ensure that its all-important client base is offered the very best of available technologies. In almost all cases, this has facilitated increased safety for employees, substantial production output improvements for industry and safeguarded the environment ensuring that derived waste is effectively controlled, encapsulated and appropriately managed. People remain a cornerstone of the WOMA (Australia) philosophy. Whilst WOMA’s close-knit team have technical competency and experience, it’s the supportive philosophy that establishes and underscores success. Time for, and an interest in each individual, the provision of set, clear expectations together with constructive and direct feedback, an investment in training, praise for accomplishment and the ability to say the ‘tough stuff’ creates an esprit de corps empowering employees to leverage by excelling at an individual level and thereby deliver exceptional value whilst feeling fulfilled. In the words of managing Director Ian Blevin, WOMA is based upon a simple philosophy whereby “customer solutions are realised by emerging technologies, amplified by enabled human ingenuity”. Customer solutions are realised by emerging technologies, amplified by enabled human ingenuity. Location: A growing territorial responsibility and the necessity to remain lean in structure has seen WOMA develop consolidated centres in Perth and Sydney thereby conveniently ensuring efficient and prompt market responsiveness. The centres each offer a full suite of turnkey services, from engineering and manufacturing through technical service support and sales, to rental and training. Technology-enabled innovation in management systems, communication and operations has facilitated improved overall governance and output. The WOMA Team implementing Miretti Explosion Protection solutions for the Material Handling Industry. WOMA Smart Solutions 2020: As a B 2 B supplier company, WOMA understand that aside of engineering, manufacture and sale of product or service, there must be an acknowledgement for the implementation of diversified peripheral services that make the difference; the ‘Smart Solutions 2020’ programme will enable WOMA’s clients with a host of new options. Metrics identifying dysfunctions, the supply of free services and the coordination of resources to maximise reparative action has resulted in a constructive discussion and outcome with a growing number of clients. In the ‘WOMA’s Customer First’ programme WOMA put a mirror up to them to help them make improvements. Every company has ‘blind spots’ and it takes an external viewpoint to identify them and facilitate a smart solution. 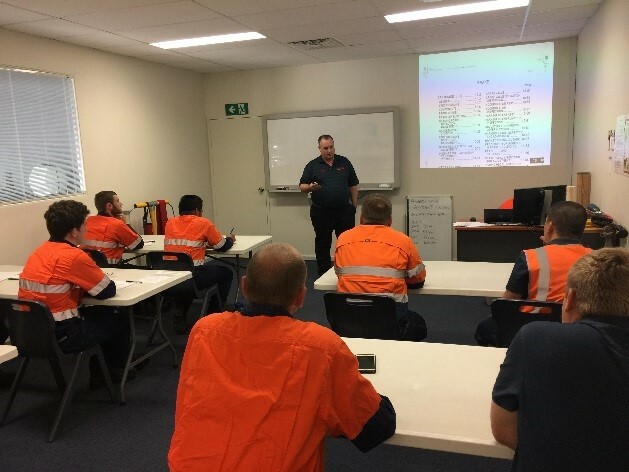 WOMA really does present a new breed of technical partner in the supply chain – for the full range of pressure and vacuum pumping and explosion protection solutions, give them a call on + 61 8 94346622 or 1300 HPWATER.